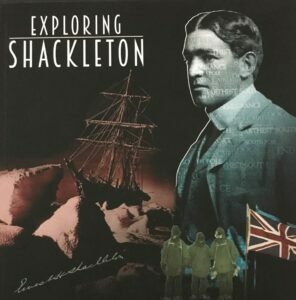 This amazing two floor picturesque exhibition celebrates the 2014-2017, Centenary of Ernest H. Shackleton’s Imperial Tran-Antarctic Expedition. The anniversary will be celebrated through a number of new expeditions, exhibition’s, publications and documentaries. The exhibition is on loan to the Athy Heritage Centre, Shackleton museum in Athy from the world famous Fram Museum in Oslo, Norway, will use the centenary to present a broader story of Shackleton, the much-admired Antarctic explorer, in a special exhibition at the museum and in this accompanying book.